Study shows that spending £17 per person per year on promoting use of cycles increases cycling and decreases motoring. A new academic study reports that cash-based interventions to increase cycling’s modal share are successful. The study, which was done on cities and towns involved in Cycling England’s Cycling Demonstration Towns project, has been long delayed and will make for uncomfortable reading for the Coalition Government, which abolished Cycling England in the ‘bonfire of the quangos’. The study – Effectiveness and equity impacts of town-wide cycling initiatives in England: A longitudinal, controlled natural experimental study – is published in the highly-regarded Social Science & Medicine. 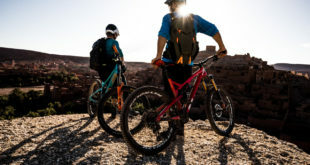 It is based on crunching through a great deal of data and was produced in partnership with the MRC Epidemiology Unit and the Centre for Diet and Activity Research at the University of Cambridge. 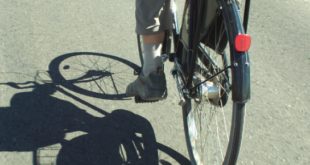 The study stresses that cycling has many health and environmental benefits. However, few robust studies have previously evaluated the effects of well-funded intervention programmes, either in the UK or internationally. Researchers for the new study used census data to look at the impact of town-level cycling initiatives across the six Cycling Demonstration Towns, which, via Cycling England, received local and national Government funding between 2005 and 2011. The researchers also incorporated data from the 12 Cycling Cities and Towns which were similarly funded between 2008 and 2011. Interventions included investment in cycle training, individualised travel planning and infrastructure improvements such as signage and increased numbers of cycle parking stands. The analysis compared changes in the proportion of commuters who cycled to work in intervention towns compared with towns that received no extra cash. The study combined 1.3 million commuters in the 18 towns into a single sample and estimated the overall effects of the interventions. Overall, the proportion of people cycling to work in the intervention towns increased from 5.8 percent in 2001 to 6.8 percent in 2011. There was a significant increase in absolute numbers, and a decrease in the amount of people driving to work. Walking to work also increased. The intervention towns spent between £14 and £17 per person per year on promoting cycling, much higher than the English average of £1 per person. 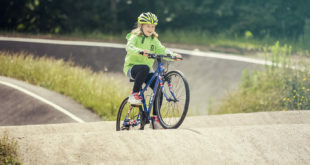 The All Party Parliamentary Cycling Group’s Get Britain Cycling report, published earlier this year, recommended that per capita cycle budgets be increased to £10 per person per year, rising to £20. Dr Anna Goodman, Research Fellow from the London School of Hygiene & Tropical Medicine and lead author of the study said: “Overall, 14 of the 18 intervention towns had a higher rate of cycling in 2011 than would be expected from their cycling levels in 2001, and this research supports the international evidence that town-level interventions can be effective in increasing cycling. The study found that one of the best interventions in getting more people cycling, and walking, was individualised travel planning. This involves home and work visits, pointing out how much quicker cycling can be for short journeys and helping people find pleasant cycling routes to work (and not necessarily the same routes people would take in their cars). 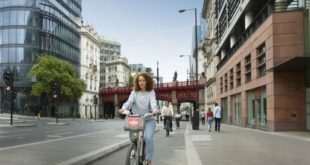 The study also pointed out that a great deal of the increase in cycling’s modal share over the last decade has been from England’s middle classes. However, with interventions in deprived areas, such as those done in the Cycling Demonstration Towns, there could be an increase in cycling in all socio-economic groups. The DfT has yet to endorse the study. It also still has to publish a report completed in 2012 on an analysis of the Cycling Cities and Towns, prepared by Sustrans and Transport for Quality of Life. Cycling insiders claim this report has been “suppressed."